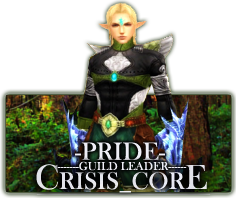 hey guys as u all no i have been in the core 4 a little while now..but for those who don't no .. i'm Josh AKA(Shootout) i'm 20 years old big fan of the Shaiya and a even bigger fan of the Crisis_Core !!! I go 2 college with a major in web design, part Graphic design and i have been doing animations since my freshmen year of high school. But game wise.. i fight hard ..play 2 win and if u ever need me give a core call and im there 2 help ..
Re: Wats up core !! Always nice to see someone with ENTHUSIASM!! YEAH! What's up Shootout!! I'm catching up to you so we can get some more groups. Welcome to the guild forums! You know that i'd help you out in whatever way you need lol. Oh and by the way, i got rid of those hanging img tags.